With over 30 years of design innovation under his belt, Tom Ritchey (Ritchey founder, president and lead designer) certainly knows what will work on a mountain bike. 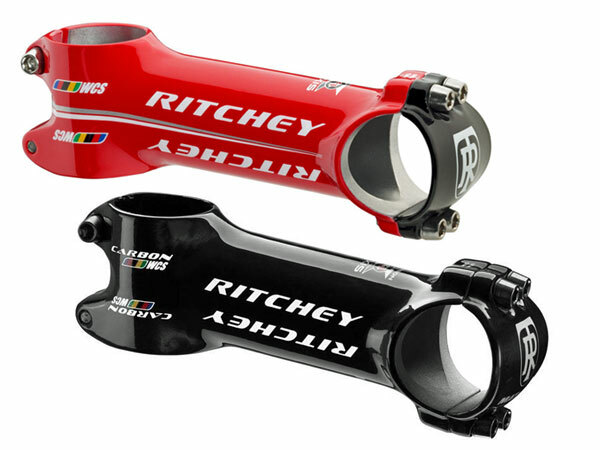 Ritchey have provided lightweight components for generations of off road riders hungry for weight savings and durability. 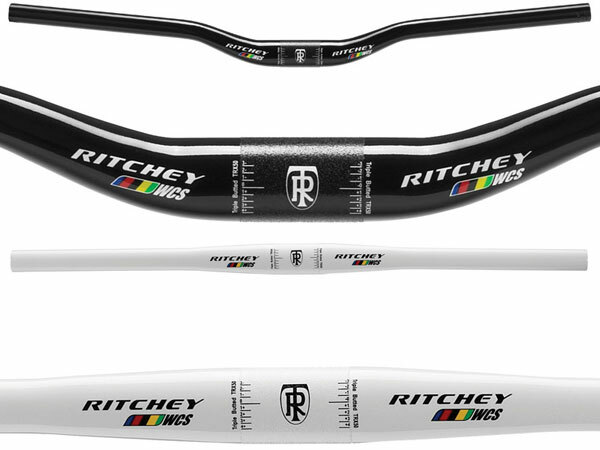 What's more twenty years of World Cup wins shows the very best racers trust Ritchey components on the toughest courses in the world. 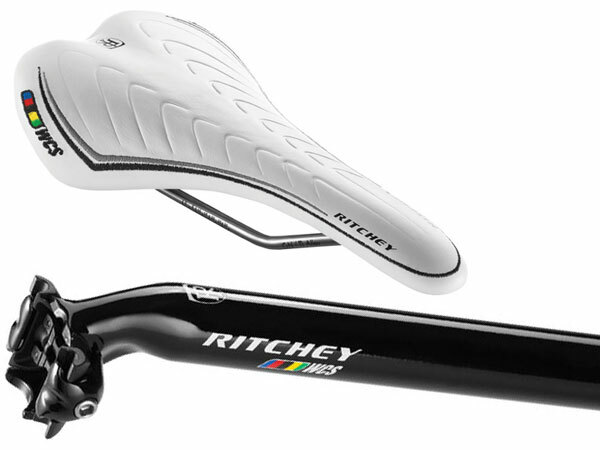 Click here to skip to the full Ritchey range. Looking at the WCS range Ritchey's racing heritage shines through. Take the WCS 4-Axis stem for example, 3-D Net forged from 2014 alloy for a superb strength with specially designed forged and contoured 4-bolt faceplate, yet weighs only 125g, with the Carbon Matrix version weighing even less. They even look fast in slick 'wet' gloss finish, particularly the wet red - everyone knows red stuff goes faster! What Mountain Bike magazine recently awarded this stem 'Best XC Stem' in a recent group test too! No racy cockpit is complete without a decent handlebar so thankfully we've a couple of the nicest alloy bars out there for you to choose from. There's the 580mm wide, 120g WCS flat bar ideal for an elbows-in-head-down XC race position. Or if you'd prefer something a little less aggressive there's a 660mm wide riser version. Both are manufactured from Ritchey's proprietary TRX50 seamless triple butted alloy that's lighter than standard 6000 and 7000 series aluminum. Like your collar to match your cuffs? We've got you covered with matching alloy WCS 1-bolt seatpost and genuine leather WCS Streem saddle. The lightweight theme continues with the elegant 1-bolt design bringing the seatpost in at 225g (in 27.2mm/350mm) and saddle weighing only 200g largely due to it's CrN/Ti alloy rails. With prices this keen you can kit yourself out with some top quality high-end race-ready componentry at an entry-level price. For example, you can get a full Ritchey cockpit including WCS 4-axis stem, WCS flat or riser bars and WCS grips for less than £99. Bargain!